As a matter of fact, Osteopathy help get better head’s shape. There are a number of different kinds of cranial asymmetries and each cranial shape exists for its own particular reason that maybe or maybe not be a problem. But when the shape invalidates functions we need to take care of it. If a baby turns his head to one side more than the other, if his head falls predominantly to one side when lying on his back, on a play mat, sleeping, resting,or if he/she finds more difficult to nurse from one side maybe these are not just habits. 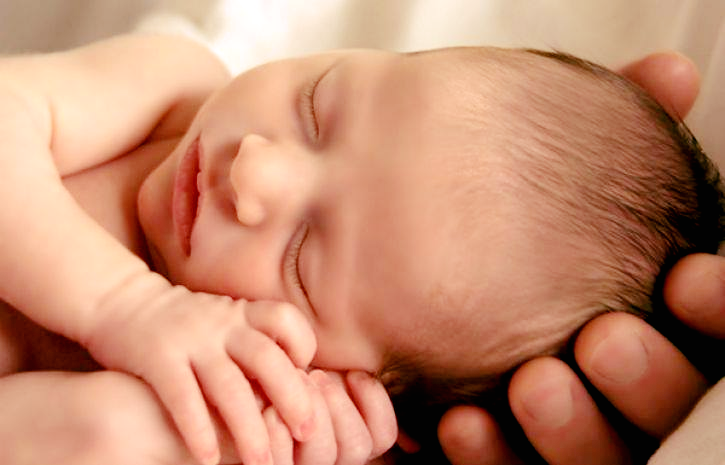 A baby’s head is perfect for protecting the brain during birth, and to cope with passing through the birth canal. His skull is made up of many bones that are not fused together. This helps the baby’s head to be flexible and pass through the birth canal and also enables it to grow rapidly in the first year of life. But this also means that the shape of the baby’s skull can be altered by external factors such as baby’s position in the womb, a difficult labor, neck stiffness or lying only on his back. Positional Plagiocephaly ( also know as Flat Head Syndrome) could be the consequence/cause. This type of misshapen head is most common, and more importantly most cases can largely or completely resolve. Osteopathy, changes of position and tummy time can be the solution. Osteopathic Treatment will help restore good balance and mobility in the whole baby (skull, neck and so on) so he is growing up with good foundations for development. The development of the skull in the infant is mainly dependent on the brain that initially causes the growth of the skullcap. The skeleton of the face grows at a different speed, tied to the development of functions such as sight, hearing, smell, sucking, chewing, swallowing, phonation, etc. Osteopath can help in resolving and/or preventing these disorders since the very first moment of a newborn (don’t forget that the childbirth causes a mechanical stress on the infant, expecially for his/her cranium). 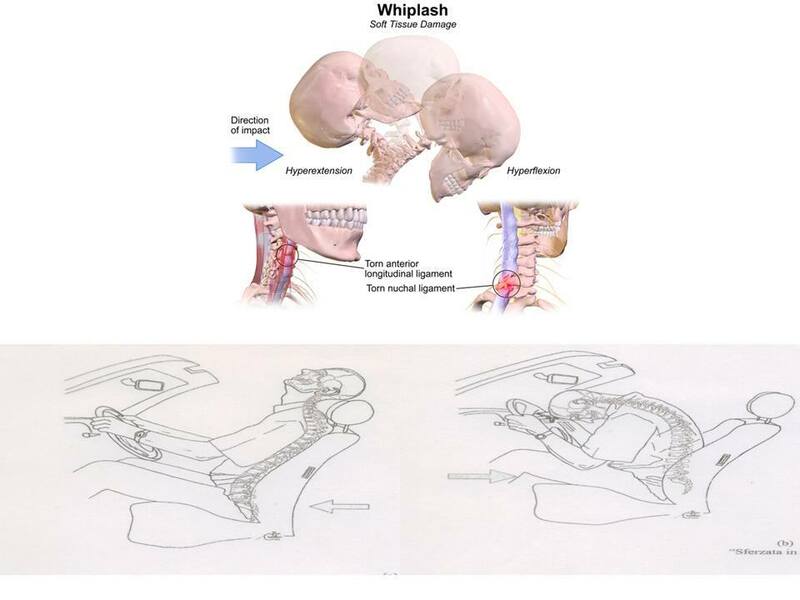 Whiplash is an unexpected acceleration- deceleration mechanism of the cervical spine due to a variation in speed towards one direction with a sudden change in the opposite direction. Car crash is the classic example of whiplash. During this unexpected event, the body hasn’t the chance of defending itself and the lack of reaction causes a traumatic wave which goes through the body. It begins from the pelvis and spreads throughout the spine and through all the tissue and organs. The first reactions involving deeply the body are contractions and stiffness of the structures, associated with emotional reactions such as fear, anxiety, panic. Whiplash affects the person as a whole, disturbing the homeostasis. The Ostheopath will work on the whole body, evaluating patient symptoms, making a physical exam and focusing on all the structures that might be affected (such as pelvis, sacrum, abdomen, skull), not only on the cervical spine. The treatment will aim at ensuring that the person finds is balance. What to expect from an Osteopathic treatment? What to expect from an Osteopathic treatment? How does it work? In practice, what does it consist of? Patients often have a lot of doubts about what to expect at their first appointment: what will the osteopath ask me, what will he/she do, how do I have to wear, do I have to bring medical tests…etc. The session takes place with an initial case history (questions about present and past health of the patient can be useful for the Osteopath to understand the cause of patient’s problem) and then a physical examination (through observation and several orthopedic/neurologic/osteopathic tests). The patient may be asked to remove some clothing to carry out the examination and treatment. The patient’s privacy and will should always be respected during this process. Then the osteopathic treatment will start, based on all collected information. The treatment is exclusively manualand will use several type of techniques ( structural, fascial, craniosacral..etc) depending on the patient’s need. At the end of the treatment the Ostheopath could make a recap, give suggestions and plan therapeutic path to restore the patient’s well-being. The number of sessions may change depending on the patient’s response to treatments. Remember: Osteopathy is a service and it serves the patient’s well-being, so the Osteopath acts accordingly. The important think is that you feel comfortable during the whole process! The treatment is not painful (there could be only some pain while treating but it’s temporary), usually patients describe it (I’m one of these patients) like a pure wellness treatment.